Peggy Corney D.O. graduated from the European School of Osteopathy, Maidstone, Kent, in 1984. She has practised in Norfolk ever since. Peggy uses both the Classical ‘structural’ osteopathic approach and cranial techniques. 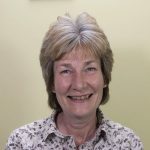 She has special areas of interest in paediatric osteopathy and treatment for facial problems, having completed postgraduate training in these areas. Rachel Gillender M.Ost., graduated from the European School of Osteopathy in July 2016 with a Masters degree in osteopathy. 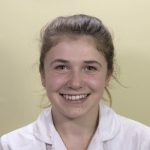 Rachel uses a wide range of techniques to treat patients, from very gentle cranial osteopathy to soft tissue work and manipulative therapy. She has a special area of interest in treating headaches and migraines and is a member of OPHM (Osteopaths for Progress in Headaches and Migraines). Elizabeth Cubitt is our Receptionist. 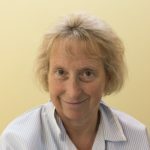 She has worked with Gunthorpe Osteopaths for over 20 years, providing a friendly, helpful and efficient service for all. We also use a reception service for times when Liz is not available.